We are BACK! 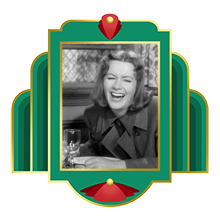 We are both in Austin, TX preparing for Fantastic Fest, so we decided to shake off the rust a bit and do a little pre-festival podcast about Ninotchka, which we both saw for the first time at the Alamo Drafthouse Ritz. After this episode, we will launch promptly into our Fantastic Fest schedule, delivering daily episodes about the newest genre films from around the world! This deluge of new material will last through September 30th, so be prepared! After that, we will settle into a regular schedule of posting every other week. We will change our format a little to make our episodes more streamlined, as well as keeping our content fresher than before. As a bonus, we will also be occasionally releasing several currently-unaired episodes we recorded earlier this year. But back to this episode! Show notes behind the cut!